The other morning I was listening to the Jeff and Jenn Show (@JeffDauler & @jennhobby) on Star 94.1 and I got an idea for a my last blogpost of the month. You see the DJs both wrote letters to themselves (Jenn’s letter, Jeff’s letter). These were letters they wrote to themselves, letters of reflection and encouragement inspired from a producer who had done the same thing when first moving to Atlanta. After a month of daily blogging, I feel like an inspirational letter of challenge would be a good way for me to think about how I can heed my words moving forward. Congratulations! 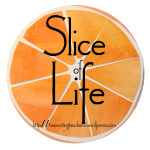 For the first time in 5 years of slicing with Two Writing Teachers, you have met the midnight deadline in your daily blogs. Wow! Way to go! When you focus on a goal and set your sights on it, you can achieve whatever you set your mind to achieving. That is something that you are finally seeing at the age of 47. Even though the blogging takes a lot of time, you become much more cognizant of the little things in life as you write daily. You have an outlet for your swirling thoughts, and you are able to process things and gain a more realistic perspective. With the encouragement from reader friends who discuss your posts with as well as teachers who you’ve never met who leave comments, you are able to make sense of the challenges you face. You dealt with writer’s block with parodies, haiku, and bad poetry. Haikuing your way out of writer’s block and filling your blog space, baby, that made for fun moments. You squared off with your #oneword2016, deliberate, asked some tough questions, and tried some new things. Of course, remember what your “nuts and bolts” principal tells you, “Maya, you’ve got to try something for longer than a few days to know if it works.” Maya, reflect on what you’ve written and tried this month but not for too long. Remember you’ve decided that you need to have a “Bias Towards Action.” Remember that you getting things done will give you more of what you need and more of what your family needs. Spend your break rereading some of your posts, so you can take reflection into action. Maya, you’ve come a long way. Your words on your blog help you process, but you know, girl, that without action reflection is nothing. Reflection needs to turn into something. You need to set goals–stretch and smart goals, so you can begin to accomplish what you set out to do. Your kids are growing up. Spend some time with Duhigg–read the rest of Smarter Better Faster: The Secrets of Being Productive in Life and Business. You’ll find it refreshing to read a book from outside of the realm of education, and it might be just what you need, a new perspective to fix old problems–deliberateness, prioritization, balance. Remember, though, if you can post and comment for 31 days straight, you can build routines and habits in other areas of life as well. Don’t let the process culminate as words on a screen–make this process something that can be seen. Today as you walked with Sarah through the parking lot, you were holding hands as you walked. A part of you wanted to freeze that moment in time as you began to fear the time that would come when she would no longer hold your hand in parking lots. Yes, you have a stack of papers. Yes, you want to engage your students. Yes, you get pulled up and down the hall to help people with technology. At the end of the day, though, you know who the most important people are in your life. Live that love for family. Prioritize. Be deliberate. Figure out how to be Smarter Better Faster. Your boss is right about that. You need to take down time. You need to calendar your down time. In fact, you need to figure out over break because you know he’s going to ask you when you plan to shut down. Don’t even say you can’t shut down for a few weeks. You can. You will. You must. For your family. For your students. For your coworkers. For yourself. Your health and well-being depend on it. Remember that blog post about letting go. Remember, Maya, what Jon Gordon wrote. Remember that post you wrote about it–when you feel like you haven’t done something to the best of your ability, when you feel less than successful. When you see a 2 on an evaluation based on a 10 minute window–the way you see each moment is a matter of your perspective. You are not failing; you are becoming. Continue the process of becoming each and every day. as words for the blog. to live each moment of the day. beckoning me to the task. Today my husband , as usual, finished what I started. Today my husband played with the kids. He cooked dinner with the kids helping. Today there was beautiful weather. Tonight there was reading and snuggling. and wanted me to stay. Not present in a moment. to prepare for another day. Looking at my one word for the year–sacred–I am trying to find how that will work for me tomorrow. You see tomorrow marks a new venture and a return to a sacred spot as I begin doing some work with KMWP, my local chapter of the National Writing Project. I’m trying to figure out how I am going to work with teachers at the school level and where this is going to take my presentation. I’ve decided to change directions from focusing on content writing in working with social studies teachers to reclaiming the sacred in writing. As I surround myself with other teachers who truly value the sacredness of certain practices in the teaching of writing, I will force myself to look long and hard and what I am doing right now and how I need to change. This is both scary and exhilarating to me, scary because I know I have taken the prepackaged units given to me and not done what I could and what I should to make them better and exhilarating because I am going to finally begin to put into action what has been tearing at my writing teacher soul this school year. Questions I have to answer as I seek to find the wiggle room in the units provided to me. How can I add writing that isn’t text-based or is loosely text-based that will help each student find his/her own unique voice? How can I loosen the shackles of the curriculum and seek the sacred in writing? I mean I have a provided unit, but I have some freedom. In this age of collaboration and data and same page teaching, CC and district mandates, how can I find a way, in spite of it all, to do what is best for my student writers? How can I do all I have to do but still create a space where writers will flourish? How can I find the time and space for the sacredness of the writing groups? Jim Gray, founder of NWP, writes of how writing project teachers find their niche in the teaching of writing. I want to find my niche, explore my niche, and yes, even (ugh!) scratch my niche. How can I help my students find a true audience when the summative tasks provided are essays written for me? How can I help students still find that memoir that exists inside all of us and use writing not just for analysis, but also to make meaning out of life? Will my words be forlorn? Will my blog disappear in the cyber-void, unnoticed? Maybe it’s better if my words stay on the wall, alone. Why do I make myself write? I don’t know what to write. where our words dance with one another.